A busy work week coupled with much cooler weather was a perfect remedy for anxiety, and taking a dear friend to dinner for her birthday made it even better. 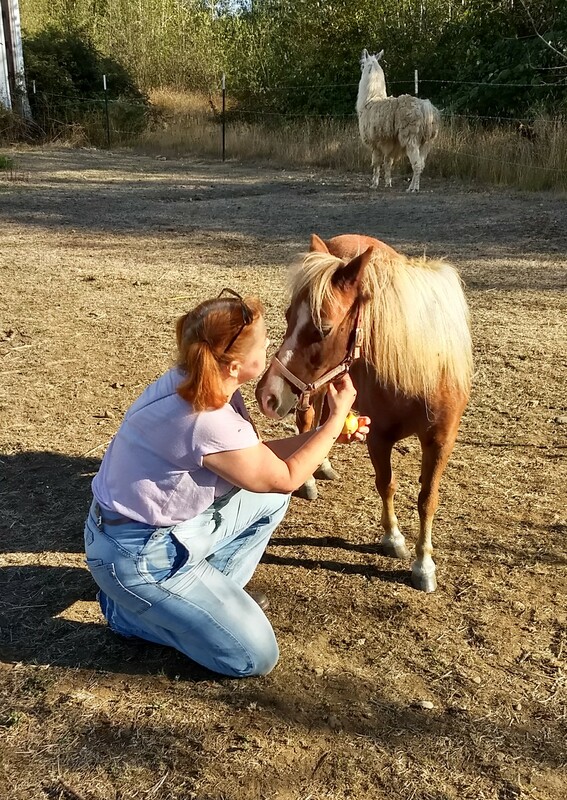 Then on Saturday I went out to Sunset for the weekend (not just to see the pony, though that was a nice highlight), and when I came back I spent last night with Ghost Rider. It isn’t often that I feel as much at peace with myself as I do right now; the warring forces in my head seem to have declared a temporary truce, allowing my soul one of those rare moments of calm I’ve had precious few of in this stormy, difficult incarnation. How long will it last? It’s impossible to say; I’ve never had one endure more than a year before. But that was before I was willing to admit that sometimes unbalanced brain chemistry needs a little outside chemical aid to restore the balance, and before I was willing to admit that there are some things I simply can’t have, no matter how much I might want them. Right now, I’m in a space where I’m finding a lot of joy in helping people I love, fighting the good fight, and building a legacy which may outlast me for a brief moment in the cosmic scale, like the faint reverberation of one beautiful note in a very complex symphony. And after all I’ve been through over the past half-century, that is enough.